Steve Schaefer and Caribe cross the finish line first in the $10,000 Open Jumper 1.40m Prix. 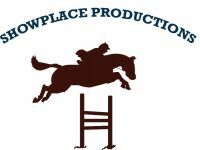 Crete, IL – May 18, 2017 - Competition continues with the Showplace Spring Classic II at the new HITS Balmoral Park property, where world class show jumpers now gallop on the grounds where a long history of race horses once ran. 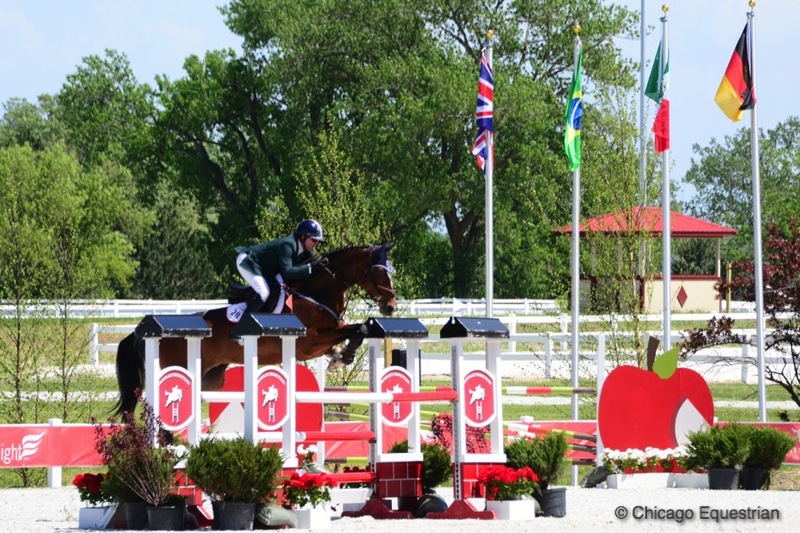 In the Grand Prix Ring, course designer Oscar Soberon (Dallas) had exhibitors finish next to the same finish line post that numerous racehorses have crossed in the history of the track. The post was preserved from the original racetrack and permanently placed in the Grand Prix Ring along with the original tote board, which lines the field side of the ring and keeps the unique history of the venue. Steve Schaefer and Caribe accept their award by the famous finish line post. 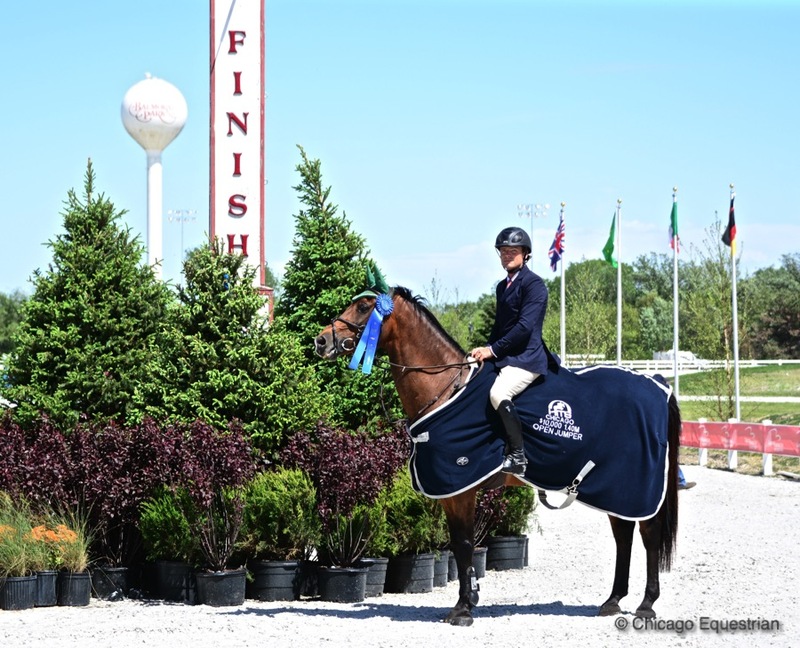 Crossing the finish line first in the $10,000 Open Jumper 1.40 Prix was Steve Schaefer of Bellis Show Jumping in Maple Park, Illinois, with his 14-year-old bay warmblood, Caribe. Schaefer was the fastest of five riders turning in clear rounds to jump off. All five riders were double clean, leaving the final decision up to the clock. Lisa Goldman and Hindsight raced against the clock to finish in second. Lisa Goldman and Barbara Disko’s Sovereign were the first to tackle the jump off track, stopping the clock at 30.02 seconds. Doug Boyd and Sapphire Riding Academy’s Bentley III also took a swing but were a bit slower in the homestretch with 33.67 for fifth. Doug Boyd and Berkley III. 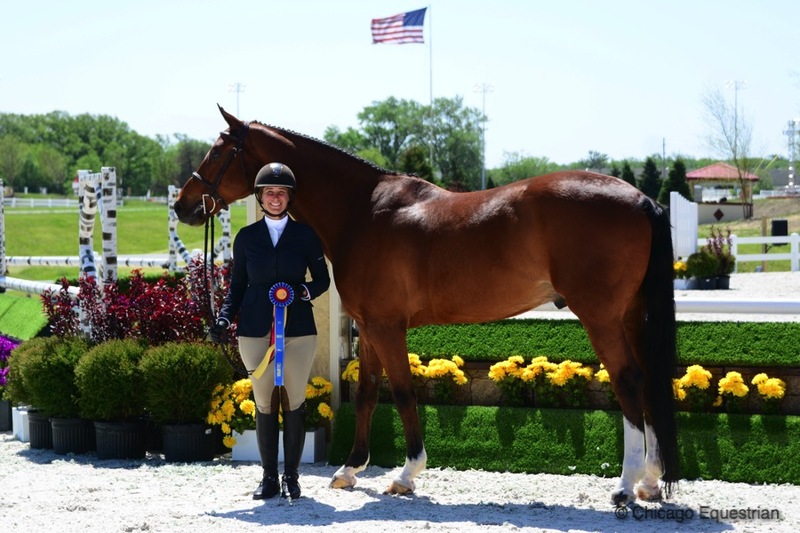 Goldman of Red Coat Farm in Hawthorn Woods, Illinois, had another chance with her second mount, Hindsight, beating her own leading time with 29.56, setting a faster time for the rest to beat. Taylor Flury of AliBoo Farm and Rose Sullivan’s For His Glory gave a great effort but tripped the timers in 30.31 for fourth. Taylor Flury and For His Glory. Schaefer made a risky but very calculated slice to a vertical that saved him a few seconds and shaved several turns with the athletic horse while galloping across the finish line in 29.18 seconds for the win. 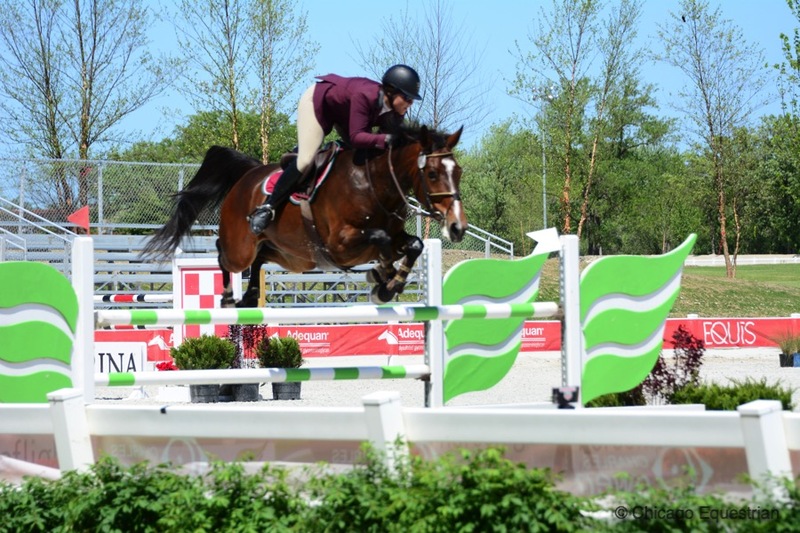 Schaefer won the $30,000 Maffit Lake Grand Prix last spring with Caribe and shares his mount with stepdaughter Caelinn Leahy, who has won numerous Low Junior Jumper Classics and Championships with the talented horse. 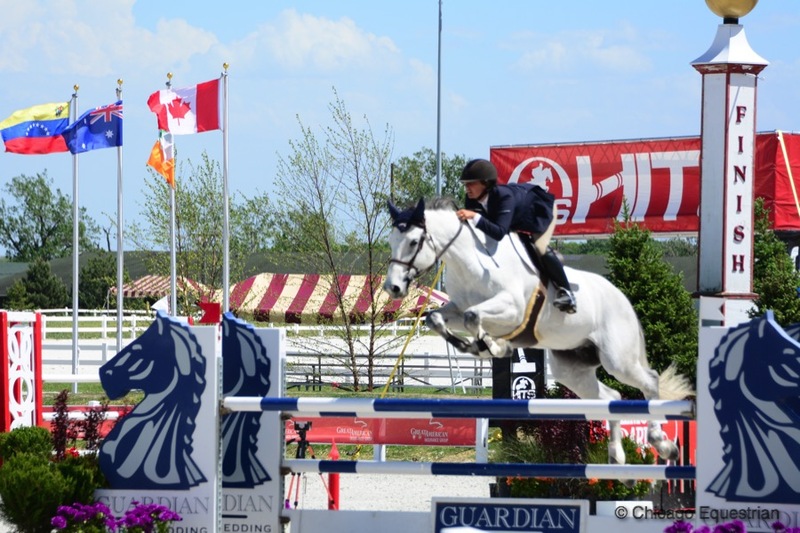 HITS jumper competition features the popular $10,000 Marshall & Sterling 1.30m Jumper Prix on Friday, a $35,000 HITS Grand Prix on Saturday and a $10,000 1.35m Jumper Classic on Sunday. Annually HITS awards more than $15 million in prize money. May 18, 1957 was the day of the 41st Preakness, this Saturday we celebrate the 142nd running. This Racing Form, among others, was left in the Balmoral Park archives. Since 1991, Balmoral Park was exclusively a harness racing track but previous to that hosted some famous racehorses such as Whirlaway, who ran and won his first race at Balmoral and went on to win the Triple Crown in 1941. 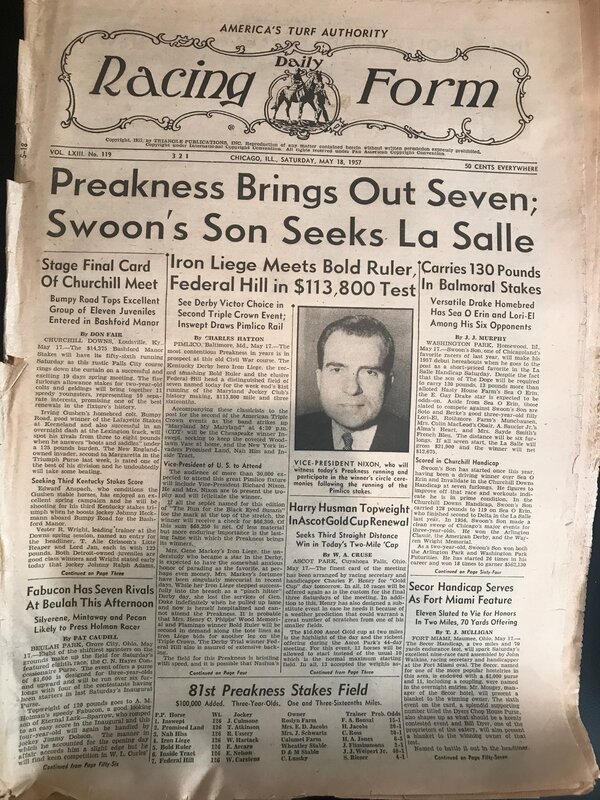 This form mentions Vice President Nixon will watch the race and lists the seven horses that ran in the Preakness that day. 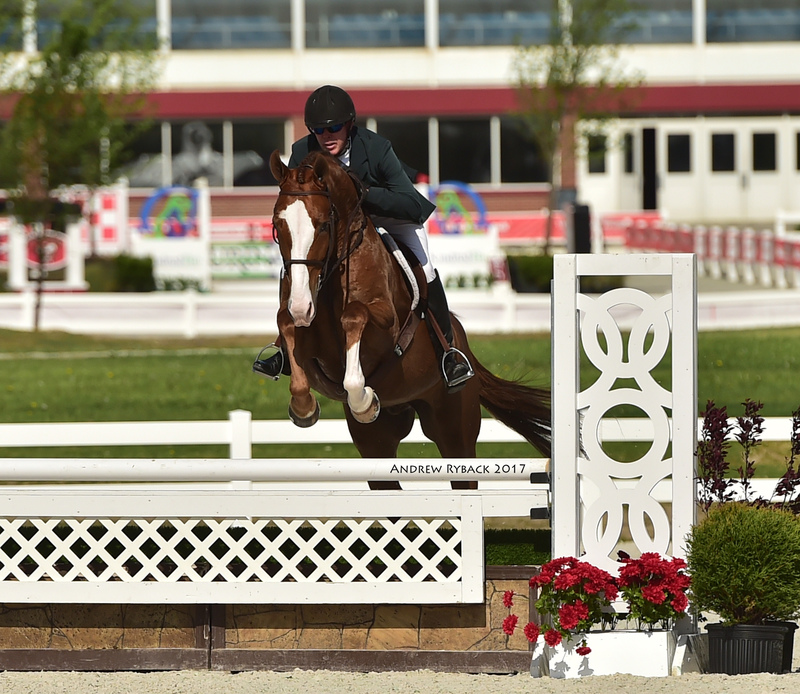 Professionals wrapped up the Green and Performance Working Hunter Divisions in the Main Hunter Ring which featured the $1,000 Open Hunter Classic won by Balmoral Park’s first ever hunter champion from last week, Molly McAdow of Galway Farm and Mary Beth Canfield’s Claas Clever. The pair earned scores of 82 and 85 to take the top prize in the classic and also landed the championship in the Green Working Hunters 3’6”. McAdow, Crystal Lake, Illinois, also took home the reserve championship in the division with Lanie Bricker’s Quattro 39. Green Working Hunter 3'6" Champion Claas Clever and Reserve Quattro 39 ridden by Molly McAdow and pictured with trainer Lorrie Canady of Galway Farm. In the Green Working Hunters 3’, Doug Boyd, Mettawa, Illinois, rode Jodi Krugman’s As You Wish to the championship while Elise Fraza and Sirocco, owned by Katherine O’Malley, won the reserve champion honors. Doug Boyd and Jodi Krugman's As You Wish earn the Green Working Hunter 3'/3'3" Championship. Photo Andrew Ryback. Elise Fraza rode Having Said That, owned by Elle McAndrew, to the Performance Working Hunter 3'3" Championship for trainer Margaret Clayton. Fraza was the champion in the Performance Working Hunters 3’3” aboard Having Said That, owned by Elle McAndrew and McAdow took the reserve championship on her Luxor. Molly McAdow and Luxor, Reserve Champion Performance Working Hunter 3'3". Fraza, 28, has ridden for Margaret Clayton’s Palladia Farm in Libertyville, Illinois, for the past three years. Fraza used to have the stay-at-home job and finally decided to hit the road with Clayton. The champion in the Performance Working Hunters 3’6” was Bentley, owned by Sarah Howe and ridden by Lisa Goldman. Reserve went to Callie Kennedy’s Cracker Jack ridden by Elise Fraza. 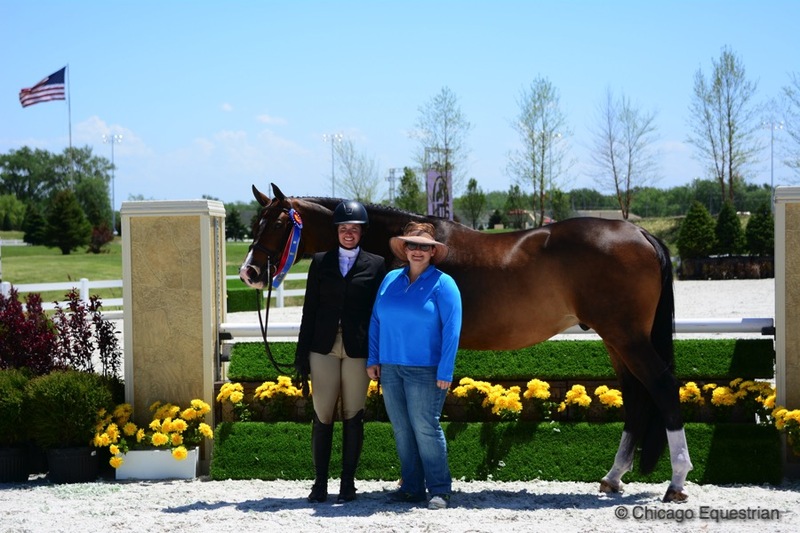 Lisa Goldman and Bentley earned the Performance Working Hunter 3'6" Championship for owner Sarah Howe. 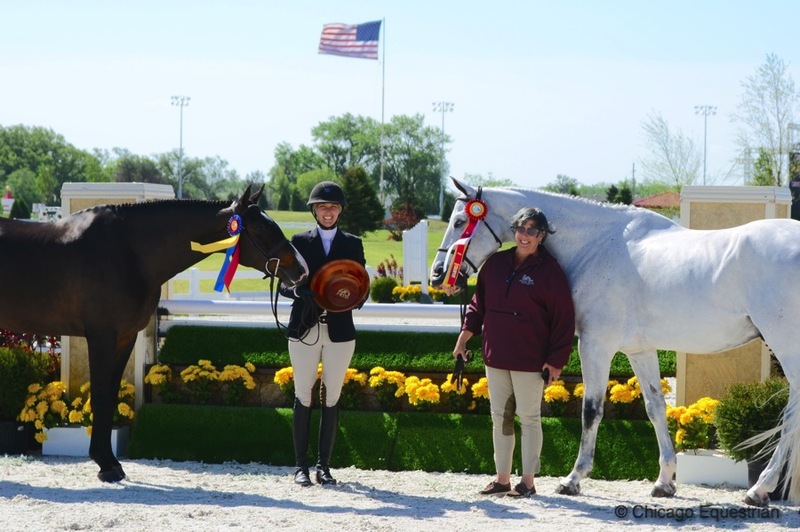 Hunter competition continues with the $2,500 Devoucoux Hunter Prix, the $2,500 USHJA National Hunter Derby and the Platinum Performance Hunter Prix. 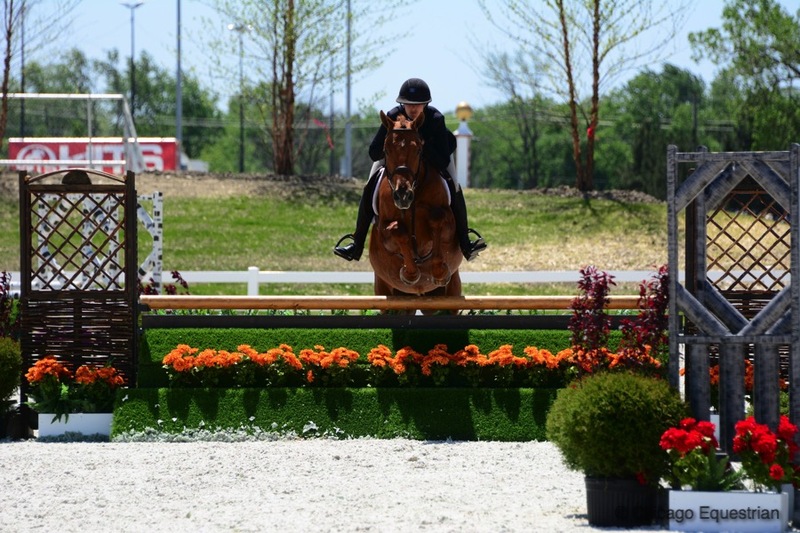 Balmoral Park is one of five HITS horse show properties located across the country in Ocala, Saugerties, Thermal and Culpeper. Renovations at several of the properties, including Balmoral Park, put the horse first, focusing on safe footing, stabling and common areas. 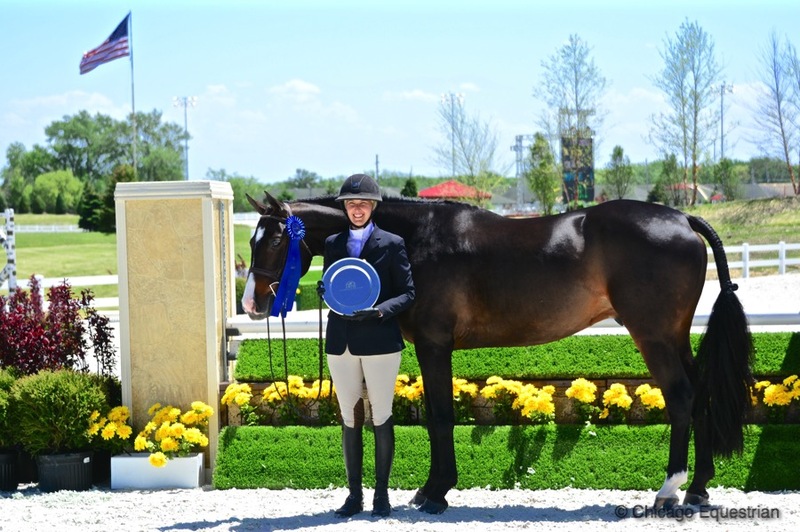 Horse show exhibitors can also enjoy the Balmoral Woods Golf Club with dining options and a championship golf course. The Balmoral Park climate controlled grandstand offers VIP seating, which includes amazing views, breakfast and lunch, a full bar and a round of golf. 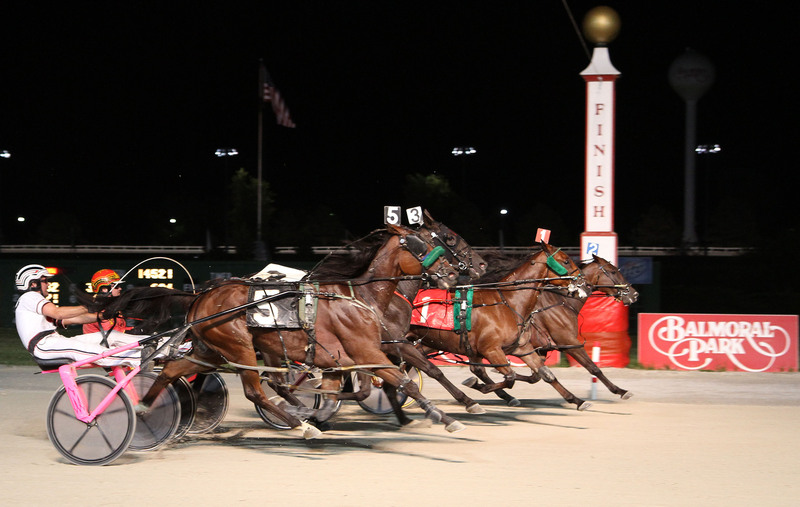 Thirteen weeks of competition are scheduled at Balmoral Park through the end of September. Balmoral Park closed in December of 2016 and re-opened last week as a premier horse show facility.